Strongly scented with anise oil. 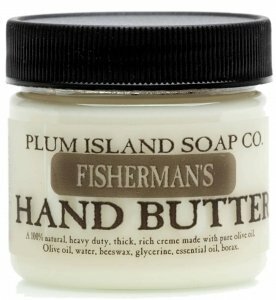 Our fishermans hand butter has a sweet scent that is pleasing to the senses. We use the finest quality essential oil to scent this butter. 2 oz Our thick, rich emollient hand butters moisturize deep within the layers of your skin for the TLC they truly deserve leaving them soft and supple.